I created the second video of the SoundBanks screencast. This one shows how I changed a SoundBank from a global setting to something that adds new Instruments. 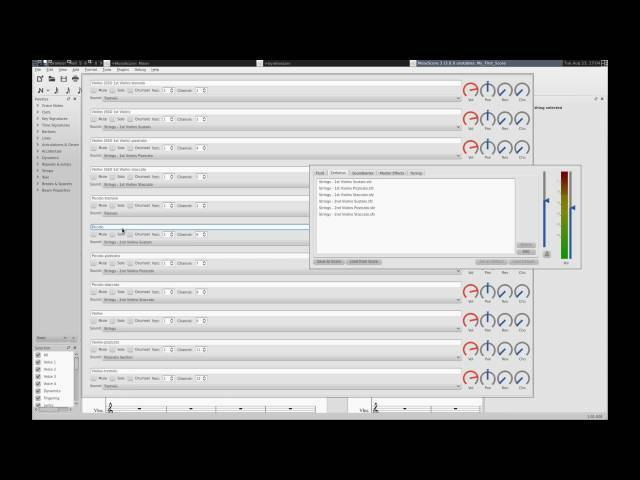 I also show how a SoundBank loads SoundFonts and that it can add new MidiActions that for example make MuseScore compatible with Native Instrument's Kontakt. Is this already on the nightly builds, or when will it be available? Just came across this post - holy cow, would I ever use the heck out of this feature! Awesome work!!! I'm assuming dynamics, crescendos, articulations, etc. would be set on an instrument per instrument basis? Since I mainly compose for plugins anyway, different plugins have different ways of treating dynamics. Where Session Strings use velocity for dynamics for example, String Ensemble by NI uses modulation. So if i can actually workout the different dynamics in the midi that i'd export out of musescore after composition, it would have a huge impact on editing the instruments in the daw later on. Uhhh, how cool this would be!